Wait until you see the Valentine's Day party printables Stefanie from Anna and Blue Paperie designed exclusively for us! I love how playful, yet modern this "So Sweet" collection looks. 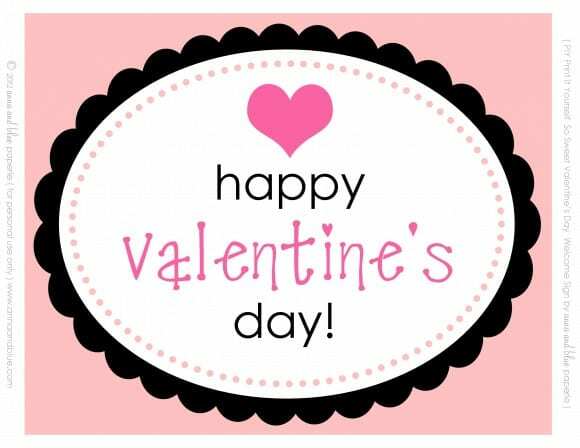 The collection includes: invitations, party circles/tags, bag toppers, a "Happy Valentine's Day" banner, water bottle wrappers, candy circles, Valentine's Day cards, labels/gift tags, tented cards, thank you tags, straw ribbons, and an 8x10 "Happy Valentine's Day" welcome sign. There's everything you'd need to throw yourself a fantastic party! Thank you, Stefanie, for your fancy and fun designs. To learn more about Stefanie, please visit her Anna and Blue Paperie blog and Etsy shop. 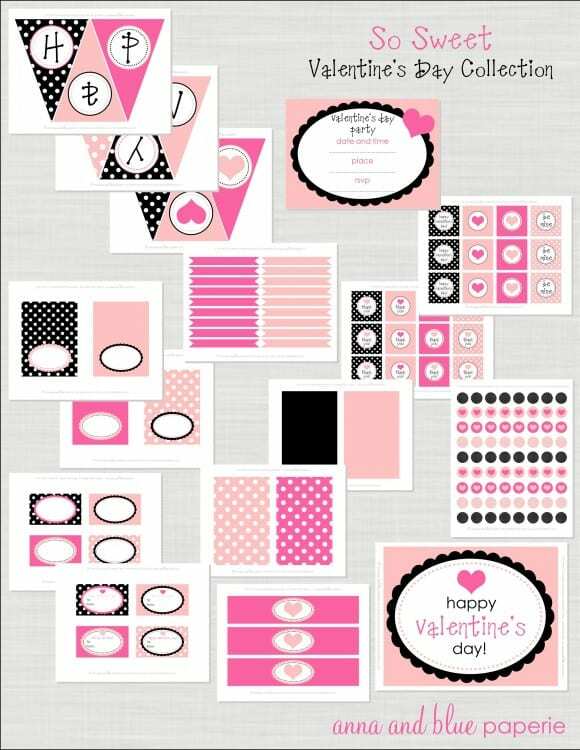 Also, for more Valentine’s Day inspiration, check out these great parties from our site and see all of our free party printables. Is it just me, or is the banner not included in this file? It's so cute -- wanna hang it on my mantle! Thanks Ashley for catching that. We'll have it up tonight. The banner still doesn't seem to be working? Thank you for these, they're gorgeous. I think the banner is working, it just takes a few seconds to load.